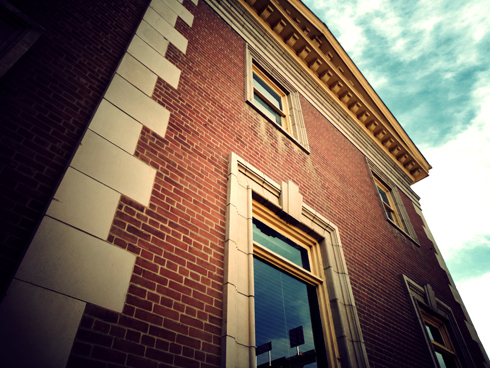 Of all of the buildings and locations that I photographed for my Around the Hat photo series so far, this one seems especially noteworthy. 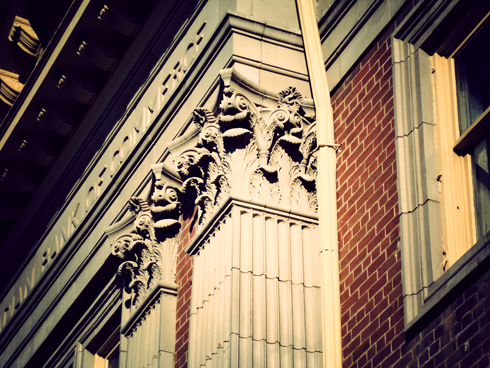 It's age and prominence on the corner of 2nd Street and 6 Avenue make the evolution of downtown obvious between photographs of different eras. 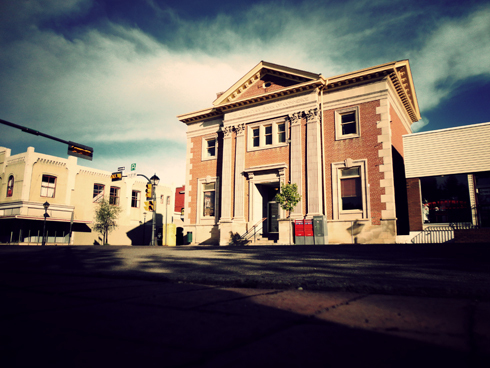 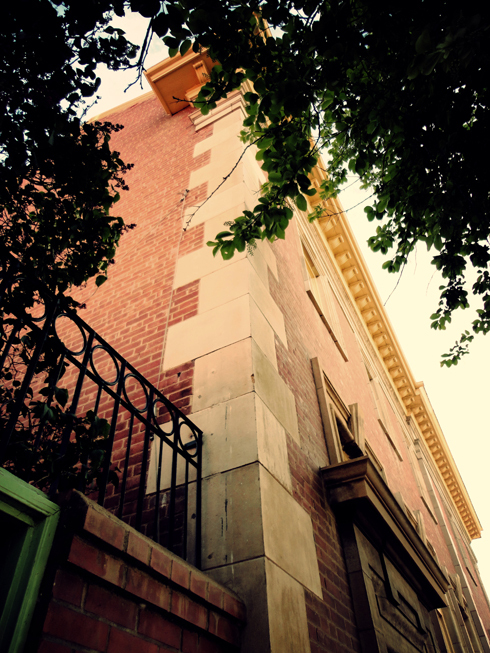 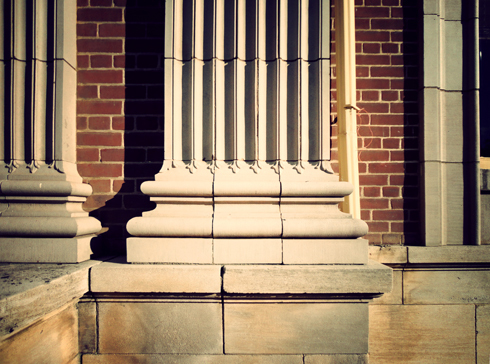 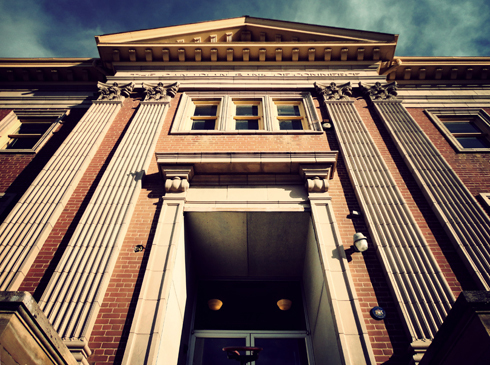 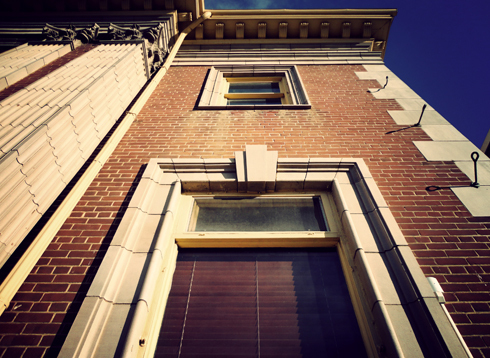 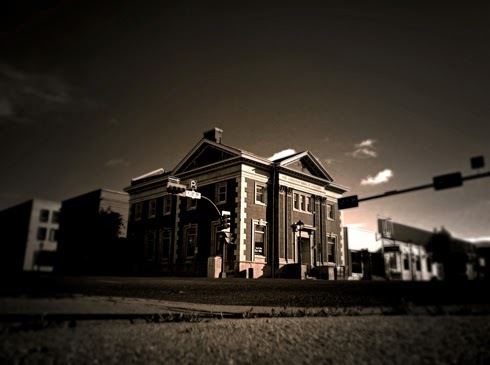 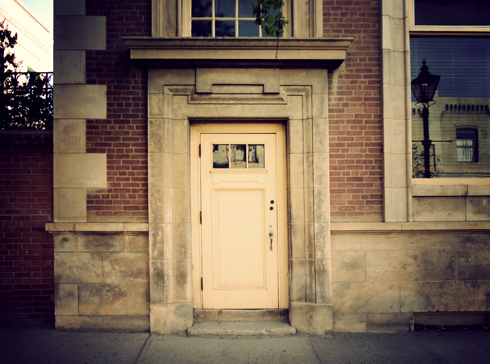 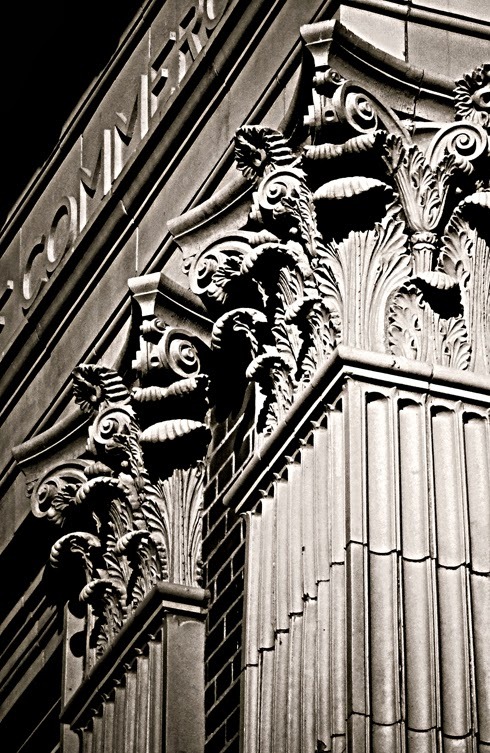 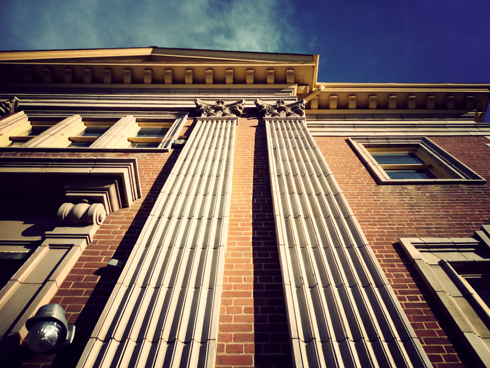 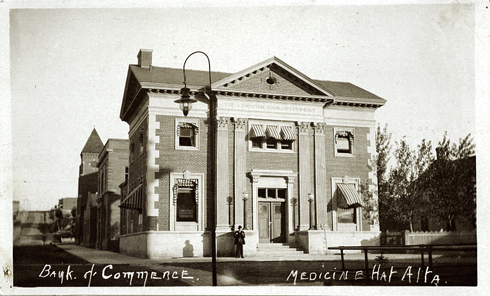 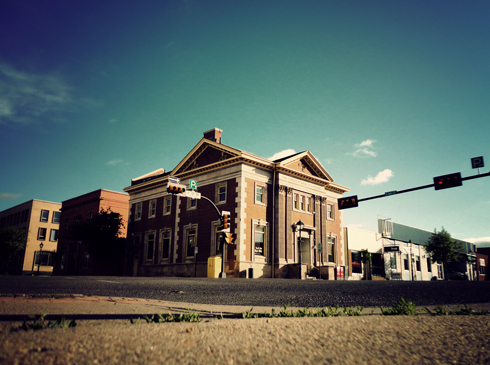 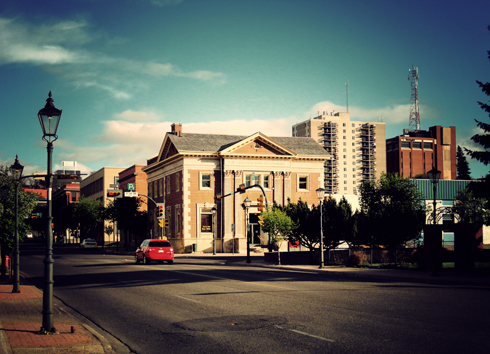 The details and textures of the building also seem slightly underplayed by its modest size, but historically this is a significant building in Medicine Hat, Alberta. 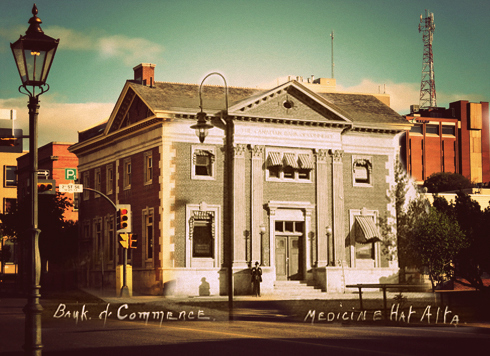 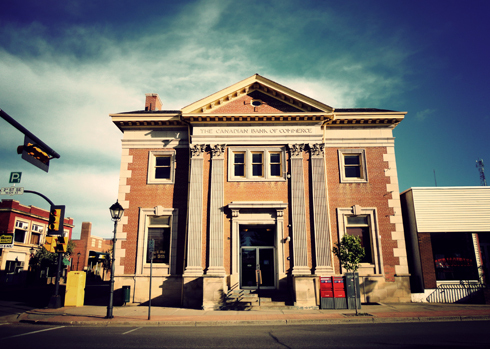 Constructed in 1907, the Canadian Bank of Commerce (later known as the Canadian Imperial Bank of Commerce) is a structure representative of the economic expansion that was occurring in the community at the time. 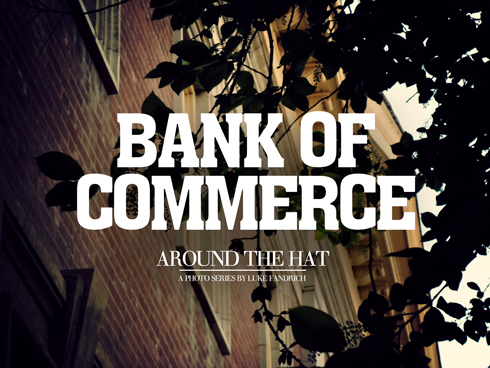 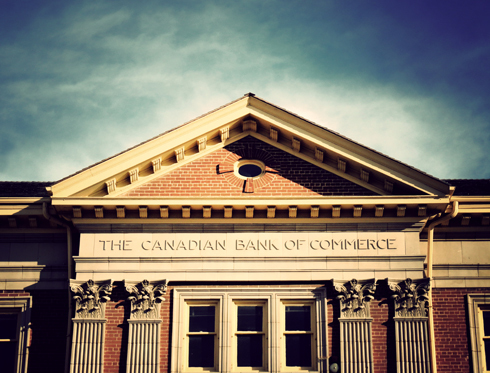 With the railway creating a hub for the region, the Canadian Bank of Commerce was eager to compete in the Western grain trade and appeal to ranchers and natural gas producers in the area. 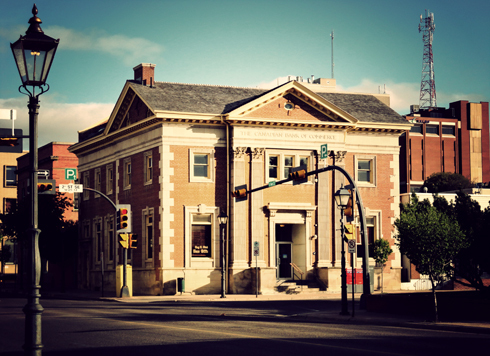 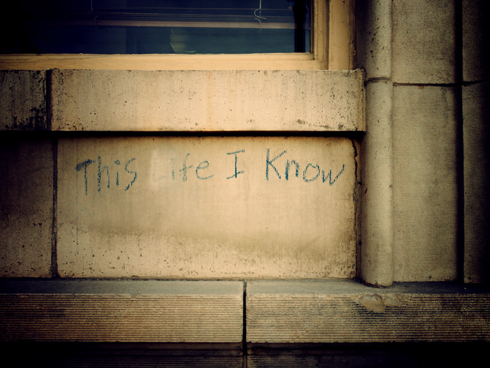 Notably, it is one of only a few surviving buildings from the pre-World War I era in the downtown core today. 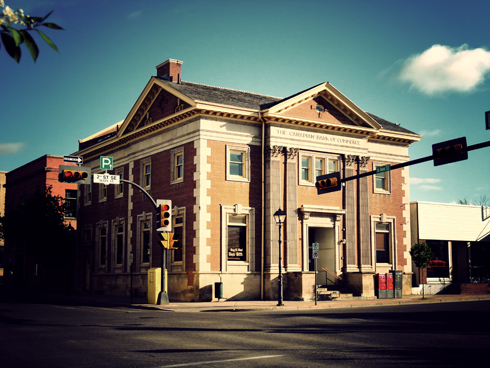 The building has since ceased operation as a bank and is now used as a law office. 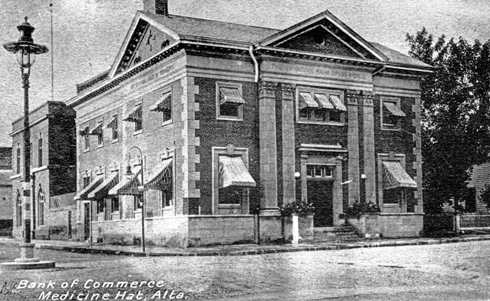 As seen in several of the historical images below, the area surrounding the Bank of Commerce has also changed dramatically. 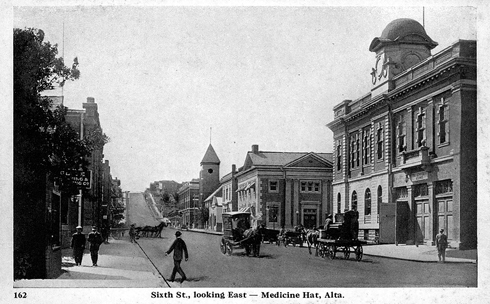 The original city hall and post office that shared the neighbouring corners of the intersection have long since been demolished. 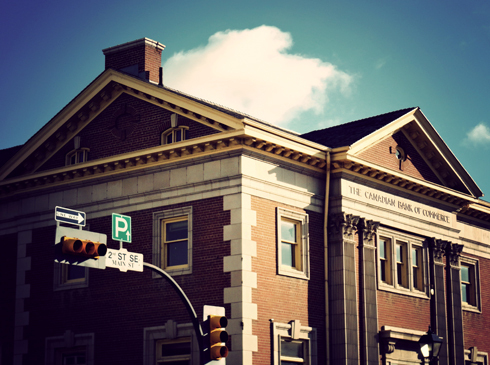 The Cypress Club next door remains one of the most recognizable landmarks from the Canadian Bank of Commerce's early days. 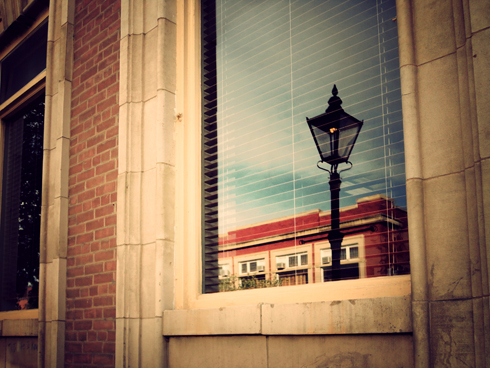 Ghosting image showing my current shot merged with the archival one. 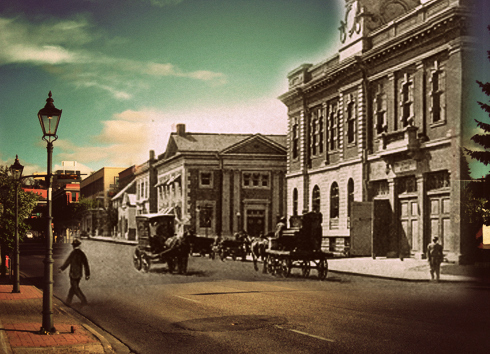 Another ghosting image of the past merged with my 2012 image.